For passengers coming from North America, reaching most European cities involves a connection. Plan yours in a well-served, easy-to-navigate airport, and it’ll be a cinch to make it to your final destination. 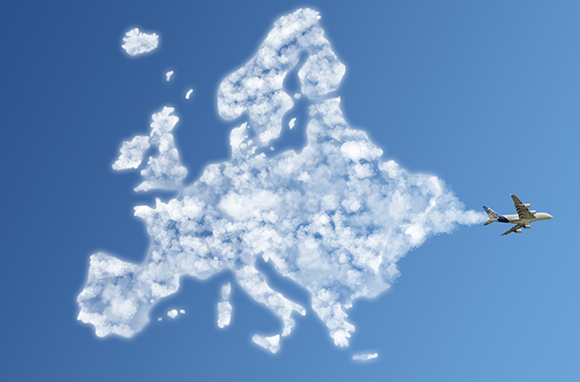 We weighed volume, number of direct flights from North America, Skytrax ratings, frequency of delays and cancellations, and general awesomeness to compile this list of super European hubs for connecting flights. Here are seven airports on the Continent and in the U.K. that will help you get on your way fast and easy. Service: All U.S. legacy airlines operate direct flights from the States to Dublin, as does Aer Lingus. From Dublin, you can connect to more than 100 destinations on the Continent. Ease: This is a smaller hub, with just two terminals, so it's unlikely you'll get lost here. There's no train connecting Dublin city center to the airport, but it's very easy to take the bus into town. Dublin Bus costs €10 round-trip for the six-mile ride to the city. 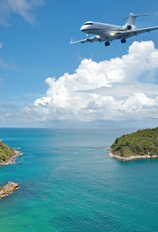 What We Love: Cheap flights—and flights that depart on time. There's Aer Lingus, based in Dublin, which offers very competitively priced transatlantic fares. Additionally, travelers can find budget-friendly connections from Dublin to dozens of European cities via discount airline Ryanair. And according to 2012 departure data compiled by FlightStats.com, Dublin has one of the lowest rates of flight cancellations out of the 40 most popular European airports. Service: Reykjavik's Keflavik is not one of Europe's busiest airports, but it's steadily becoming more popular. Sixteen airlines operate there during the summer high season, with Delta and Icelandair offering direct flights from the U.S.
Ease: Since it's a small airport, it's not difficult to travel between terminals. And it's a cinch to go from the hub to Reykjavik and back again. 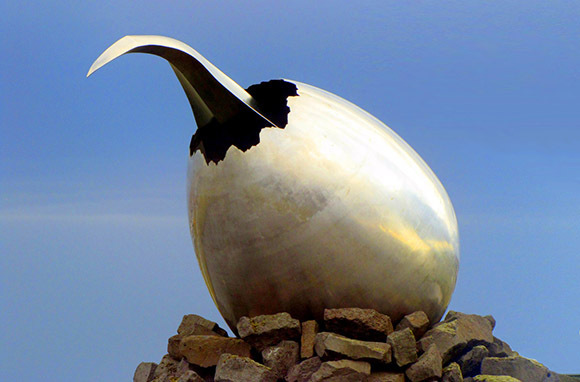 For about $16 each way, take the Flybus from Keflavik to Reykjavik, which takes 40 to 50 minutes. What We Love: With Icelandair, travelers en route to Europe or North America can book an overnight (or multinight) stopover in Reykjavik at no additional fee. Spend a day soaking in the Blue Lagoon and then head to your final destination. From Reykjavik, Icelandair connects to more than 20 European locales. 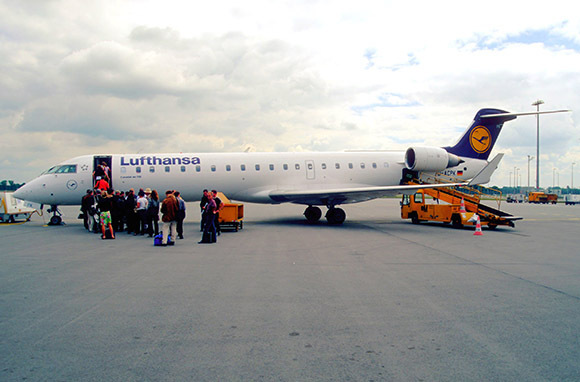 Service: Germany's busiest airport is a major hub for connecting flights throughout Europe, with direct service from the U.S. via American legacy airlines plus major international carriers Lufthansa, Singapore, and Condor. As the 11th busiest airport on the planet, it connects points around the globe. Ease: This mega-airport is highly rated on Skytrax, with an overall score of four stars, including four for ease of use and public transport. What We Love: Frankfurt's Great to Have You Here! program features newly installed rest areas with comfy chairs, updated bathrooms, play areas for kids, and even a Visitors' Terrace, from which flyers can watch plane activity. Service: Four airlines offer direct flights from the U.S. to Munich: United, Delta, Lufthansa, and US Airways. And the airport saw record traffic numbers last year, with 38.4 million flyers passing through in 2012 (a 2 percent increase over the year before). Lufthansa and its Star Alliance partners account for 37 percent of Munich's traffic, so it's an excellent hub for Star Alliance members. 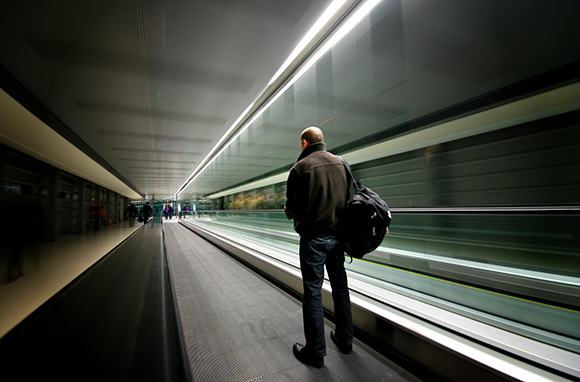 Ease: Munich Airport has excellent four-star Skytrax ratings for ease of use and ground transport. What we Love: It's great for globetrotting kiddos. A survey from Skyscanner found that Munich airport was the world's most family-friendly hub. Thank (or blame) airport attractions like the newly updated Kinderland, where families can actually have scheduled birthday parties. Why not hold your kid's next shindig at the airport? Service: All of the U.S. legacy airlines operate direct flights to Heathrow. And it's no surprise: Heathrow is the world's third busiest airport and the busiest hub in Europe. Virgin Atlantic, British Airways, Air New Zealand, and Kuwait Airways also offer direct service from the U.S. to London. Ease: Heathrow has a high four-star ranking on Skytrax. Passengers give the U.K. hub four-and-a-half out of five stars for ease of use. What We Love: Shopping! 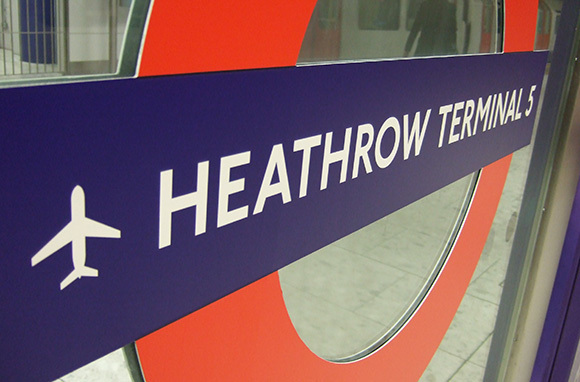 Heathrow was named the world's best airport for shopping in the 2012 Skytrax World Airport Awards. If you're flying on British Airways, you'll transfer through Terminal 5, a newly renovated part of the airport that is the largest freestanding structure in the U.K. There are world-class stores and restaurants at T5, including a Tiffany & Co., a Harrods, and even a Gordon Ramsay restaurant. Service: Amsterdam sees more than 51 million passengers annually and was the world's 16th busiest airport in 2012. It's also Europe's fifth largest passenger airport, connecting travelers to 260 destinations worldwide. Five airlines operate direct flights from the U.S. to Schiphol: Delta, United, US Airways, KLM, and Dutch airline ArkeFly. 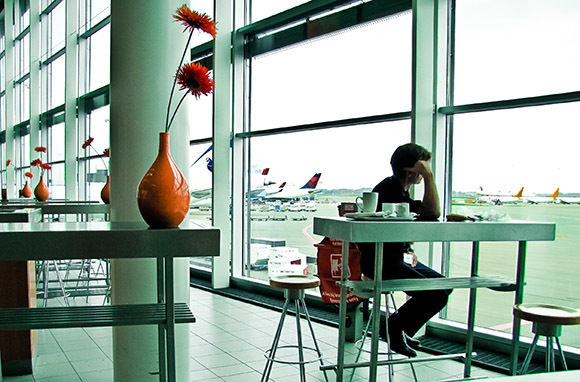 Ease: Schiphol has a four-star ranking on Skytrax, including four stars for ease of use and meet-and-greet facilities. 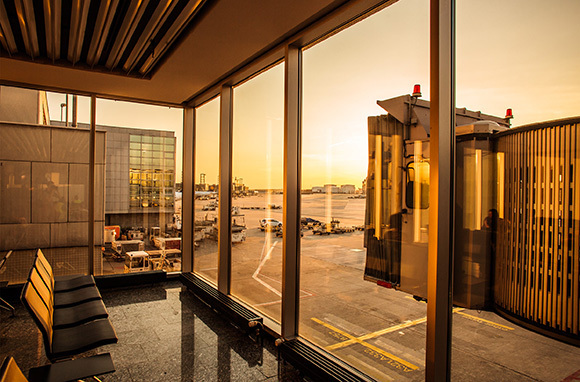 What We Love: Schiphol has plenty of passenger perks, from an art museum to pay-per-use showers. Best of all, it takes about 20 minutes to get from the airport to downtown Amsterdam, so you can easily trek to the city to explore during a long layover. Service: This is Europe's second-busiest airport. Air France, naturally, is based here. Fly directly from the U.S. to Paris on the French airline, legacy airlines, Air Tahiti Nui, or XL Airways. You can get almost anywhere in Europe via Charles de Gaulle. 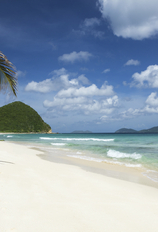 And budget travelers can hop on low-cost airlines like EasyJet or Flybe to jet on the cheap. 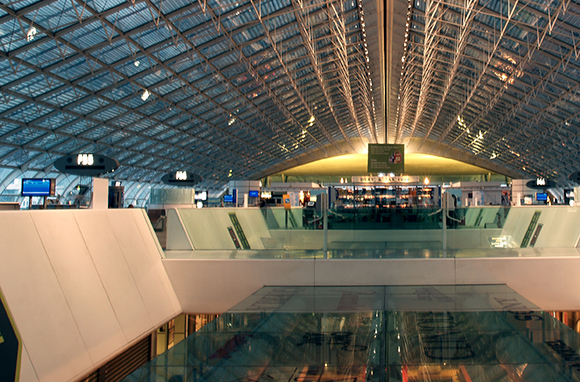 Ease: Sprawling, frenetic Charles de Gaulle is notoriously difficult to navigate; as one of the world's busiest airports, the hub made it onto this list due to sheer volume. (Its Skytrax ratings are poor.) But it is relatively easy to get from Charles de Gaulle to various destinations in France. Via the TGV station at the airport, visitors can travel directly to more than a dozen places in the country. What we Love: Free stopovers. With Air France or KLM, travelers can stopover in Paris (plus other European cities) for a few nights on the way to their final destinations. And although travelers love to complain about flying through Charles de Gaulle, statistically, the hub has a lower rate of flight cancellations than the majority of other major European airports.